The Queens Bookshop Initiative wants to help the 2.3 million residents of Queen, through the creation of a general interest bookshop worthy of Queens. Currently, there is only English speaking general interest bookstore since the Barnes and Noble closed all three of its Queens locations. 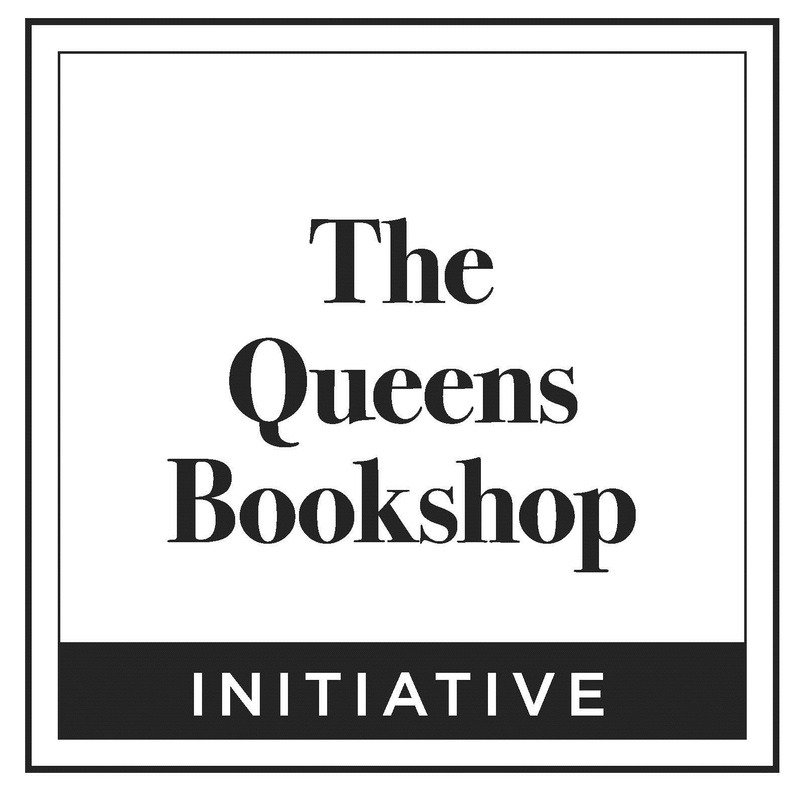 So three friends, and former booksellers, Vina, Natalie and Holly established the Queens Bookshop Initiative and a Kickstarter to bring books back to Queens. So first, I'd like to know a little more about each of the founding members. Let's start with Vina--when did you fall in love with books and reading? I fell in love with books and reading when I made the uninfluenced choice of picking up the Harry Potter series. Unbeknownst to me, these books would then be a huge influence in my reading tastes. It is almost magical (no pun intended) when books start to have a say in the way you view your surroundings and the way they can steer your adventures in the real world. Thanks to J.K. Rowling, I was able to build long lasting friendships by bonding over our favorite characters. Her books were also the reason I always wanted to travel to England, which I did when I studied abroad while I was in college. Books have worked as my constant, when the setting around me always shifted (I have moved a lot since I was little). Every step I have made in my personal and professional endeavors have been influenced in one way or another by my love for books, I'm so glad I picked up Harry Potter & the Sorcerer's Stone. Natalie, what book would you love to sell and to whom? Which demographic in your community are you most excited about reaching? I'd love to sell my childhood favorite, The City of Ember by Jeanne DuPrau, to the kids of Queens because it's just this great story of defiance and ingenuity! The children find out a terrible secret about their city and they know that they are the only people who can save everyone. I think that's a great message for young people that if you're smart, dedicated, and you truly know what's right, you can make great changes in your world even if you feel like adults might not listen to you. It's an exciting adventure story that I got really into when I was young and I think that it would be really engaging to a lot of children. Obviously, I'm most excited to reach the community's children and teens. I think that they are the most susceptible to good influences and that is what books provide. Children who read become adults who read. And reading is so important to develop a strong imagination, critical thinking, and empathy, the same things that are essential to creating kind and well-rounded individuals and community members. Holly, what do your friends and family say about the Queens Bookshop Initiative? What keeps you motivated in pursuing this dream? Luckily, my friends and family have been nothing but supportive of our idea. It might be a bit of a bias because I grew up in a book loving family--my mother treated me to books the way other kids got toys or candy. Then I surrounded myself with the same bookish personalities as a teen and an adult. The people closest to me lamented with me as bookstores became harder to find, along with that comfort and sense of belonging that went with them. In that way, they saw this initiative as inevitable. And many of them have been incredibly generous in helping our endeavor, whether by donating to our Kickstarter, spreading the word through their professional and social networks, or even donating their time and skill sets. Some have offered legal counsel, and my husband is actually on board as our financial advisor. They all want to see this project through to fruition. This undying support, not just from family, is certainly part of what keeps me motivated. Letting people down is NOT an option. So many people have told us that Queens needs this and they're so happy we're doing it. Beyond that, I think the absurdity of the whole situation always gives me that push I need. When everything gets overwhelming I boil it down to, "There's only one general indie out there now. Queens is huge, and this is crazy." A bookstore desert in a place as diverse as Queens, New York, is mind boggling. Someone needs to change this; it might as well be us. In terms of the project as a whole, how do you envision the space of the bookshop? What are you looking forward to including to make it uniquely your own and serve the Queens Community? VC: I envision having a wooden stage, where we can have open mic nights, storytime, and plays performed by kids and adults. I have always wanted to create a bookish podcast and record it in our store, have authors and members of the literary community be our guests. Also, the more interactive we can be with our events, the better. Storytime is so much more fun when it is paired with a fun activity. For example, we celebrated Independent Bookstore Day with a reading simultaneously paired with Yoga for kids. They had an absolute blast. I would also want to eventually be able to deliver books (same day bike delivery) to our Queens customers! NN: I'm looking forward to the events we want to host! We don't plan on just having readings and signings; we want to make things really exciting and interesting for our customers. We're thinking about things like Blind-Date-with-a-Book, open mics, outdoor storytime, film screenings, and even Literary Speed Dating has been suggested. I think what's really cool about our Kickstarter is that we are offering our space for events as a reward, which means we're going to work with our backers on the events that they want to host. HN: I've said it before: I want a cat named Pages. But as for the store, I want it to be dynamic, both in floor layout and customer engagement. I want people to feel like they've found the holy grail hidden in a corner, out of sight. Then I want them to be able to approach one of our booksellers, all crazy excited, and find in them someone to share that excitement. At the end of the day, I want our bookstore to be that place you bring your out of town friend to see, because it's just that cool! Then, as Vina and Natalie said, we also hope to really pride ourselves in interesting and engaging store events ranging anywhere from storytime in the park to, possibly, book themed movie nights. Whenever possible, we want to partner up with other local establishments, too, like coffee houses, restaurants and schools. And, of course, there will always be author readings and signings. We intend to split our focus between well known, established authors and lesser known, local authors looking for their audience. Our Kickstarter is already an example of how willing local authors are to participate; one of our rewards for donating features signed copies of books from Queens authors like Matthew Thomas, Phillip Klay, Megan Abbott, Alex Segura and Maureen Johnson, just to name a few. If you could have any authors come to hang out in your store or do events, who would you invite and why? VC: Jonathan Safran Foer. His books to me, especially Extremely Loud and Incredibly Close, have managed to articulate thoughts I've had but couldn't string the words together as beautifully as he did. During my four years working at B&N, that was my go-to recommendation to customers. Similar to how J.K. Rowling influenced my childhood, I picked up Foer's book at just the right time when I became an adult. He is publishing his first new book in 11 years, and to have him read at our store or if I could pick his brain in our podcast... that would be all kinds of amazing. 2. I've loved all of the books that she's ever had any hand in. I'd also be incredibly excited to hang out/work with John Green because I follow his work on Youtube and I feel like we're already old pals (though I doubt he feels the same) that share a similar sense of humor. I also love his writing and just as a plus he would certainly draw a crowd if he ever spent any time in our future store. HN: Oh, wow. This is such as selfish answer. I want David Mitchell to come to our store. That man is my Life Editor. (Background: some people have guardian angels - I always felt like my life fell a little too neatly into a narrative, so I must have an editor that makes sure everything makes sense instead. Thus, Life Editor. And I think mine is David Mitchell - especially after Bone Clocks). Otherwise, I think it might be awesome to have Neil Gaiman come and host storytime for us. I can just hear him doing all the different character voices for the kids and being SO inviting to young and old readers alike. Few authors have the range that he does. 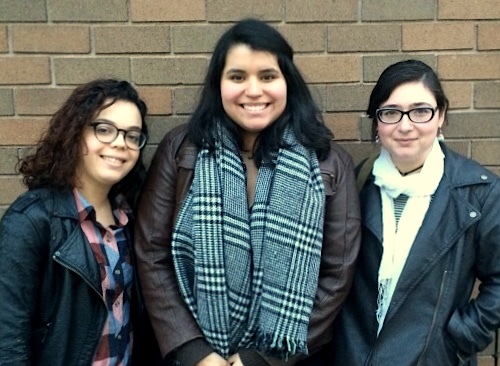 Why should people outside of Queens care about this bookstore? HN: I could make a sweeping speech about literacy for all, but instead I'm going to appeal to that feeling you get in your gut when you think about bookstores, and when you think about independent businesses. Both are symbols of learning, growth and inclusion. An independent business is only as strong as the community that supports it, and that community doesn't have to be limited to its surrounding neighborhoods. When people support independent businesses, no matter where they are, they are supporting the growth of the economy and the growth of diversity. Besides, independent bookstores are warm and inviting. You might not be a part of Queens right now, but one day you could be. Can you imagine moving to or visiting a place that doesn't have a bookstore? It would feel hollow.